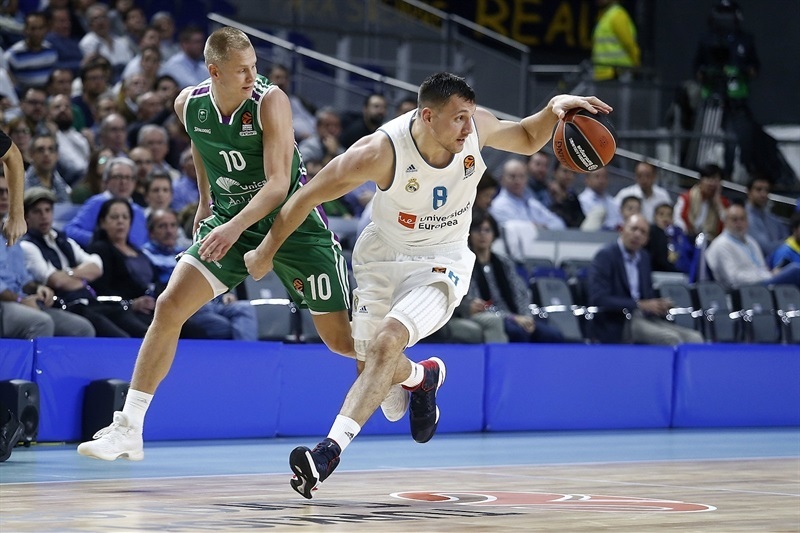 Real Madrid bounced back from three straight losses to blow away fellow Spanish side Unicaja Malaga with an emphatic 89-57 victory on Thursday night. 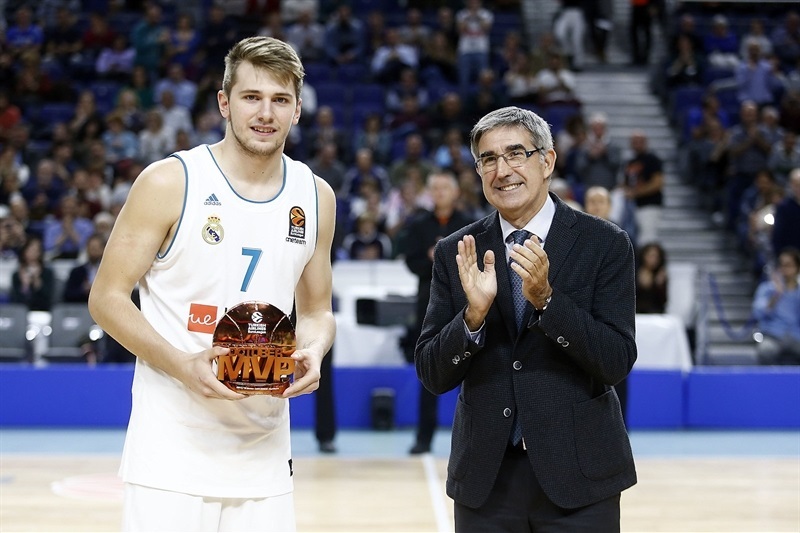 Two days after suffering a club record loss at Baskonia Vitoria Gasteiz, this felt very much like a statement victory for Los Blancos, which was paced by 13 points, 10 rebounds, 6 assists and 2 blocked shots from the irrepressible Luka Doncic. 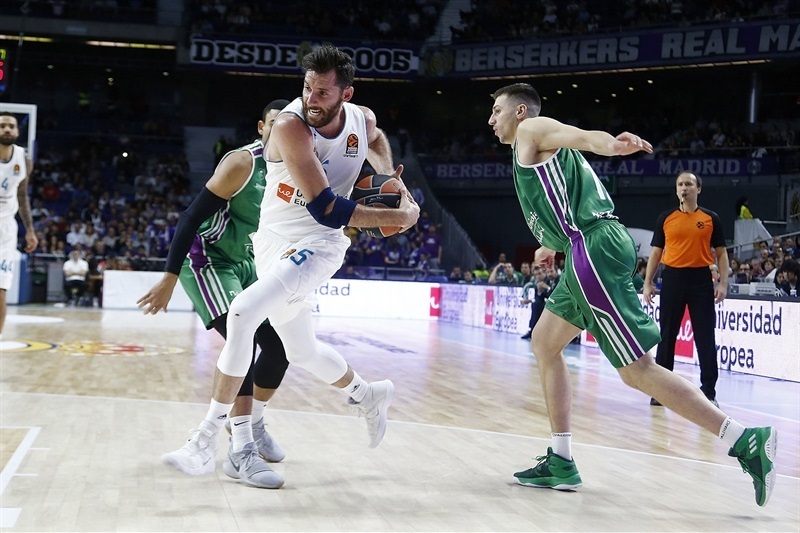 Madrid established a double-digit lead early in the second quarter and never stopped accelerating, while dejected Unicaja had no answers. 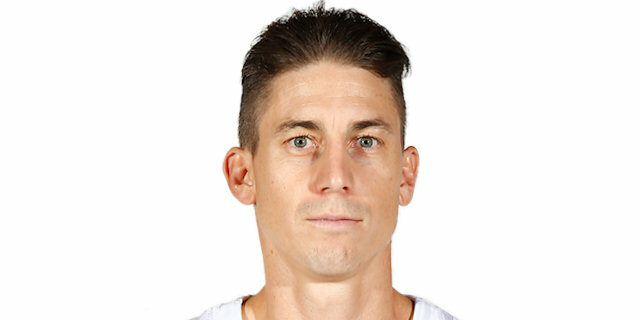 Jaycee Carroll led the scoring with 17 points on 5-of-7 three-point shooting, and Rudy Fernandez added 14 points. 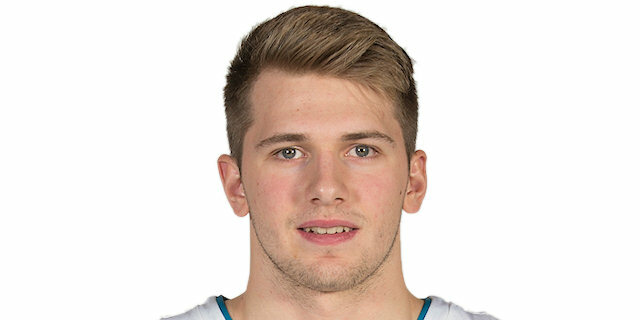 Dragan Milosavljevic and Alberto Diaz scored 10 for Unicaja, which converted just 21 of 61 field goal attempts, while Madrid made 14 of its 28 three-point tries. 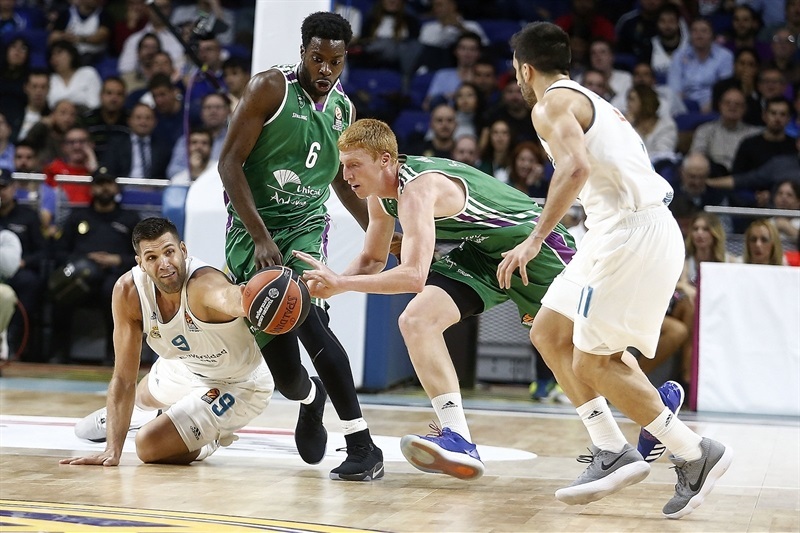 Madrid improved to 5-3 for a share of second place, while Unicaja dropped to 3-5. 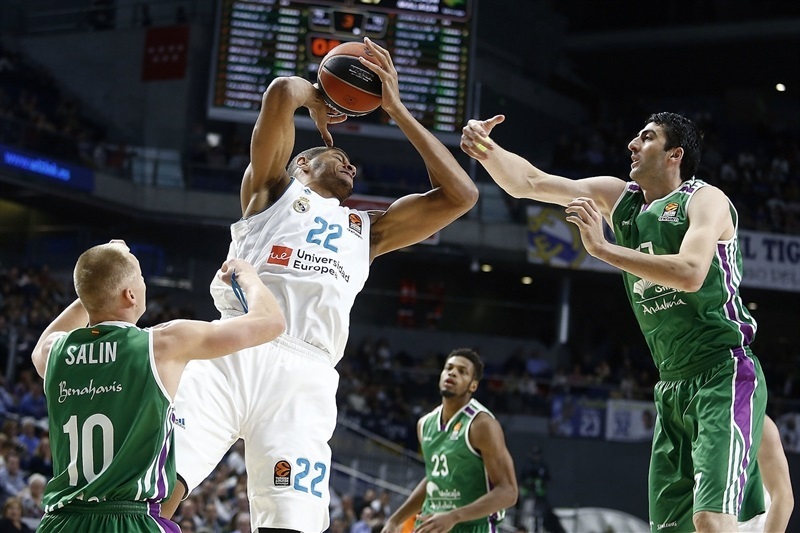 The lead swapped hands regularly in the early stages as Jonas Maciulis, Fabien Causeur, Sasu Salin and Jeff Brooks traded triples, but it didn’t take long for Madrid to pull away as Walter Tavares sank a couple of two-pointers early into his home debut. A triple from Fernandez and a driving layup from Facundo Campazzo extended the lead to 19-12 after the first quarter. 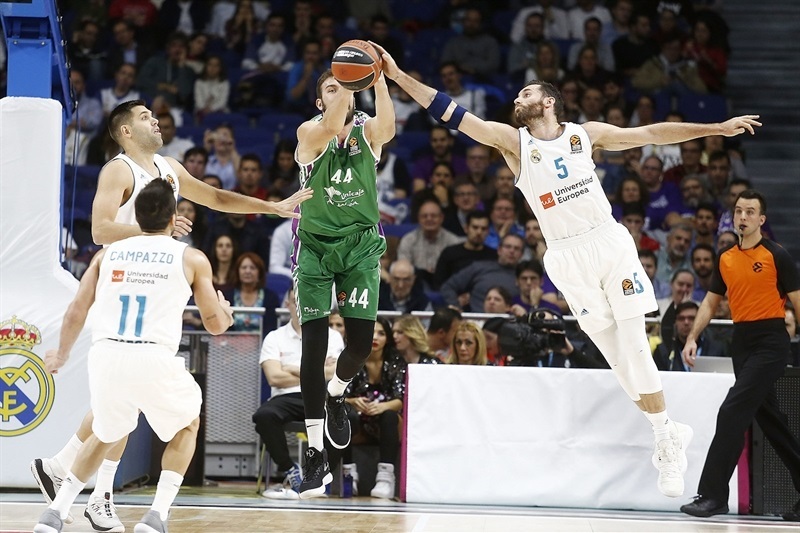 Trey Thompkins hit a corner three as Madrid extended the run to 12-0, keeping Unicaja scoreless for more than five minutes until Alberto Diaz produced a three-pointer. Baskets were traded evenly for a while until Fernandez delivered a triple and then a layup plus one, and it was 40-25 at halftime. 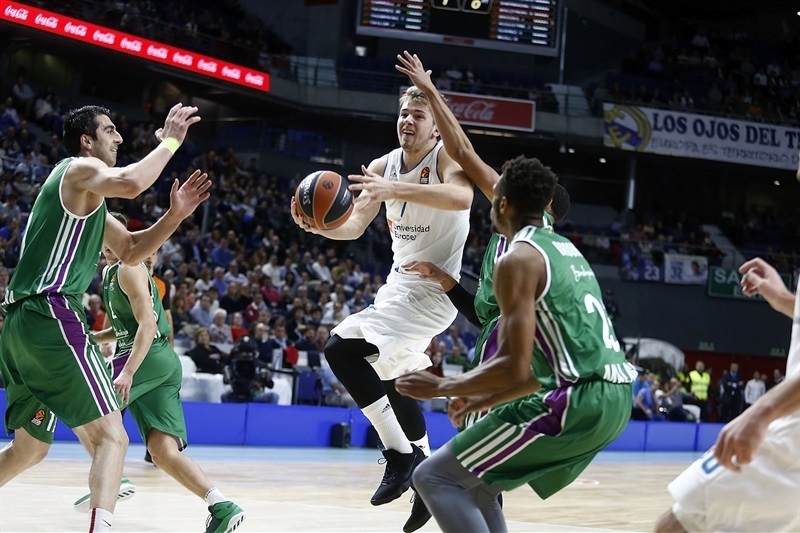 Milosavljevic opened the scoring in the second half, but Doncic and a triple from Jeff Taylor got Madrid moving again, before free throws from Maciulis extended the lead to 51-33. 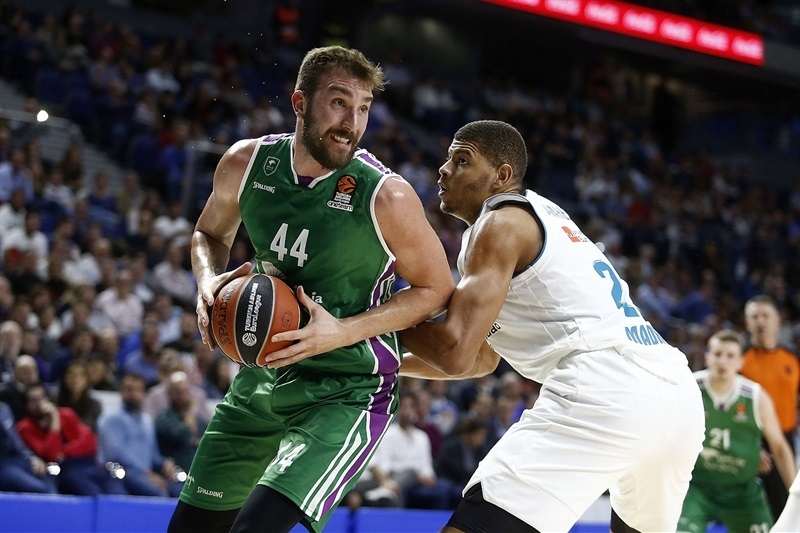 Then a huge baseline slam from Taylor and a Doncic circus shot with a foul took the lead beyond 20. 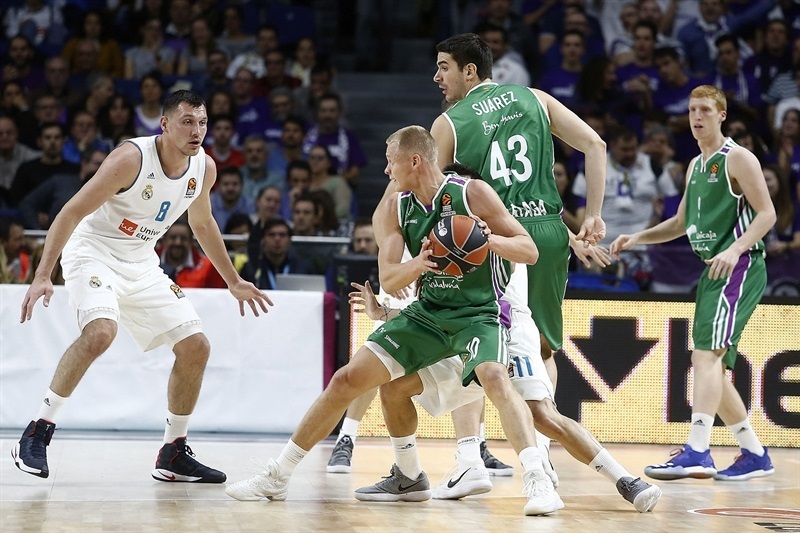 By now it was obvious there was no way back for the visitors, and the points continued to flow for the hosts as Felipe Reyes converted a couple of two-pointers at the start of the fourth quarter. Dani Diez and Alberto Diaz both bagged a pair of baskets to briefly prevent the gap from growing larger, before Fernandez returned from the bench to score from downtown again and Carroll converted his fourth and fifth three-pointers. 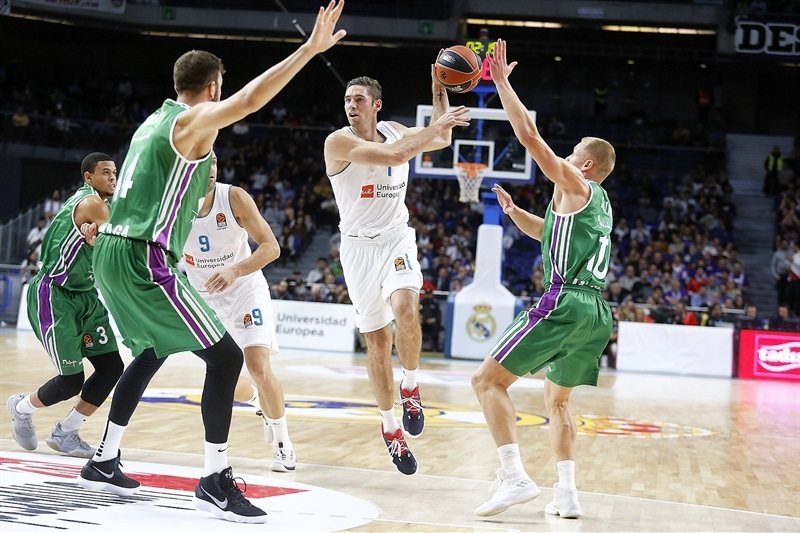 Yet another triple, this time from Campazzo, made it a 14-2 run and Madrid’s superiority on the night was well and truly underlined. "What I always say is that results should not be that important, but when you lose three in a row, it is important to come back to winning, so we really needed it and I think we played really solid defensively. We were able to move the ball well, finding open jumpers. I think we did a good performance in an important victory for us. I think we were solid; we rebounded, moved the ball, were able to penetrate against their zone, found open jumpers and defensively, we controlled their strongest point. I am happy for our performance, and our victory." "Madrid deserved the win. They played more, had fewer mistakes, and showed their quality. But from our side, having 16 turnovers makes it difficult to compete at a high level. To allow 12 offensive rebounds means we closed out poorly, and 21% of three-pointers against 50% makes a big difference. We know it’s a tough schedule, but it happens to everyone, and as a player I wouldn’t want my coach to cry about these things." "When we base our game on our defense, fight for every ball and play with energy, we can beat anyone. We shared the ball very well today; we drove and dished and passed the ball again until we found an open shot, a good shot. Those are shots with high percentages. We feel good; this is still November and there is a lot of basketball ahead of us. We have to carry on improving and learn from what happened in the last three games, moving forward. We did almost everything right today - rebounds, defense - but must think of doing that every time we enter a game. 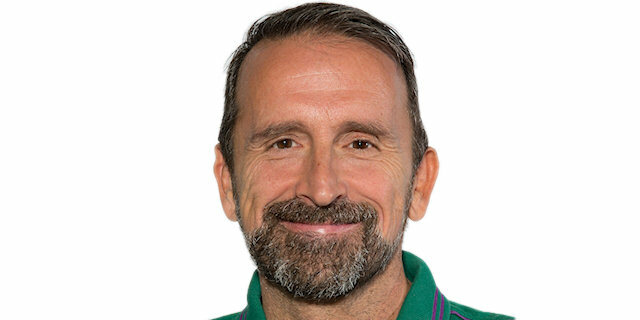 It is a demanding calendar in which player and coach must learn how to deal with it." "It was a really hard game. We needed to do well today because we lost by 30 against Baskonia. We needed to play good today and we did it. I think it is a very important win, because we had lost three straight games and needed to win this. We prepared well and played well, especially on defense. That was the key. I am young - I like to play games. Three games per week is a pleasure for me."